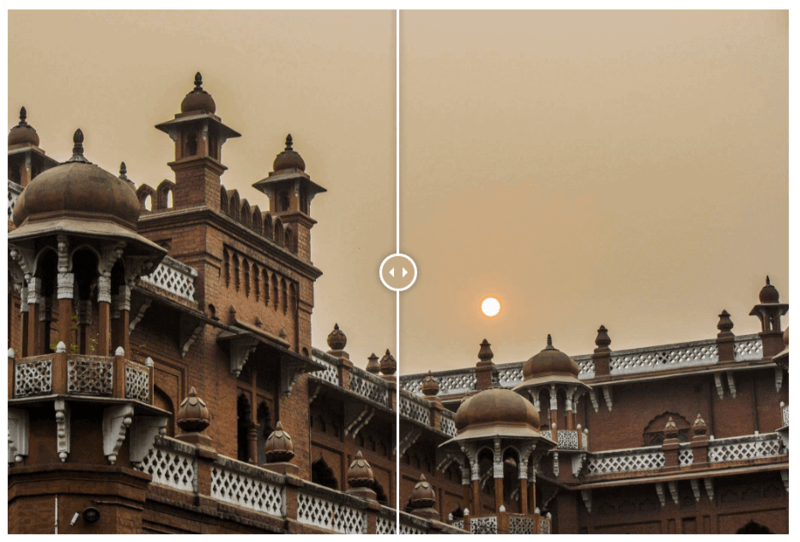 This module is to compare two images dynamically. Need not the coding knowledge to configure the module. Simple customization with fewer steps to get the desired output. Can be used for any type of website. 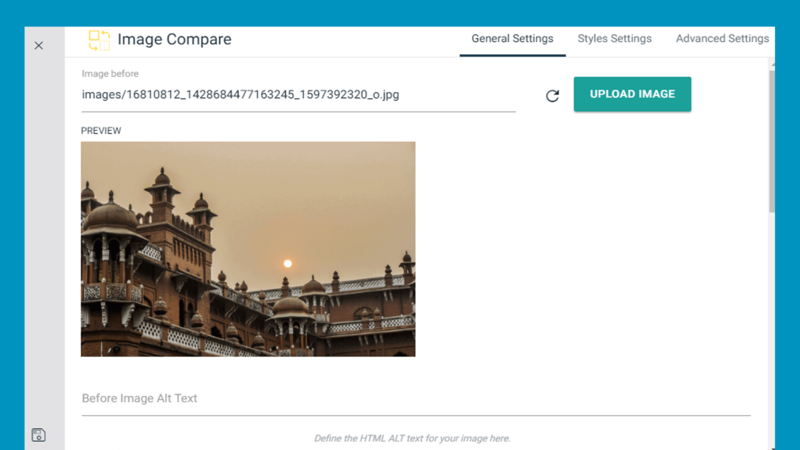 Image Before : Put the online link or manually upload the image that is to compare using the UPLOAD IMAGE button next to this option. Before Image Alt Text : Write an alternative text for the image. Image After : Put the online link or manually upload the image that is to compared with using the UPLOAD IMAGE button next to this option. After Image Alt Text : Write an alternative text for the image. Before Text : Write the text that will show over the before image. After Text : Write the text that will show over the after image. Dark Layout : You can enable or disable the image divider's dark layout style with this option. Animation : Allows you to add an animation effect. Animation Delay : Change the animation delay. 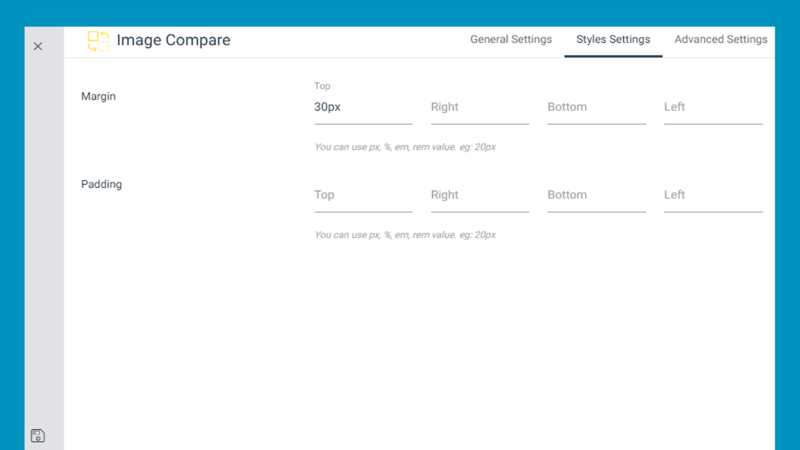 Padding : You can define the amount of padding in pixel for Top, Right, Bottom and Left as well for the module.